1. Keep all technologies 90% charged 95% of the time. 3. 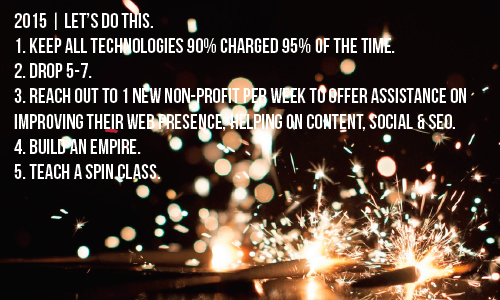 Reach out to 1 new non-profit per week to offer assistance on improving their web presence, helping on content, social & SEO. The Alt | 6. Record. Something. And, like Ronya says, Work Harder.